The VA health care system has big problems, that’s been well-documented recently, but a veteran diagnosed with mesothelioma still can get the help he needs if he knows where to look, and he knows how to navigate the often-frustrating system. That’s where we can help, making the difference between a no-hope prognosis and a real shot at extending your life. It’s a difference worth exploring. For all its faults, agonizingly long wait times, disgraceful mismanagement and bureaucratic waste, the Veterans Administration still includes two of America’s finest thoracic surgeons who specialize in pleural mesothelioma: Abraham Lebenthal, M.D., in Boston, and Robert Cameron, M.D. in Los Angeles. The trick is getting to see them promptly, which is what we can help arrange with our hands-on knowledge of the VA system, and our access to these specialists. Lebenthal and Cameron are reaching out to help U.S. military veterans with mesothelioma, offering their much-needed expertise. Veterans just need to reach back. Mesothelioma is a rare and aggressive cancer that strikes an inordinate number of veterans, yet there are few medical professionals in the VA health care system, or even in private practice, who really know the intricacies of treating the illness. Lebenthal and Cameron are among the best. It infuriates me every time I hear what doctors around the country automatically are telling veterans with a mesothelioma diagnosis: They have 6-9 months to live, they are not a surgical candidate, and they are eligible for chemotherapy, which won’t make a significant difference. The problem isn’t unique to the VA system. We hear it time and time again about oncologists failing to tell their patients they need to be seen by a mesothelioma specialist to know for sure what their options are. The bottom line is that unless you or your records have been seen by a mesothelioma specialist, you really don’t know if you’re a surgical candidate. Surgery is the only real treatment that can have a profound impact on your prognosis. You should not take what your oncologist tells you as the final word until you’ve been seen by a specialist, inside or outside the VA system. That’s just the way it is. It’s amazing that cancer doctors in the VA don’t know what’s available across the nation or they just don’t want to look and find out. It’s a real flaw in the VA system. If your VA doesn’t have a doctor capable of handling your condition, they typically refer you to a civilian specialist. Because mesothelioma is so rare, most of the time there isn’t a civilian doctor who can handle it. What happens next? You undergo chemotherapy at the VA and results are grim. But it doesn’t have to be that way. There are therapeutic options out there today that can make a dramatic difference and extend your life two, three, four or more years. First, you have to be assertive with the VA. Insist on seeing a mesothelioma specialist. You’re going to meet resistance because most VA doctors are not accustomed to referring patients like this, but they are obligated to do it now. If you get the referral, the VA will pay for your flight to Boston or Los Angeles. If you show up at Lebenthal or Cameron’s door, it won’t cost you a dime more than the copay because they’re part of the VA system. The best thing to do is talk to us. 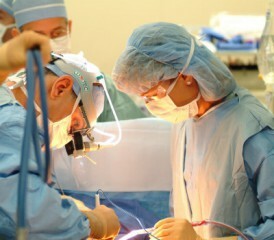 Our medical outreach director, Missy Miller, can have one of these surgeons review your records. We’ve had veterans do that, and she has arranged a call with Lebenthal, too, where he can give you a preliminary evaluation. Then you go back to your oncologist at the local VA and just tell them, or better yet, insist, that’s where you want to be seen. We’ve done this many times and the veterans end up in Boston or Los Angeles, and live well past their original prognosis with CT scans that still are showing no signs of recurrence. It’s not going to happen, though, if you just sit back and accept what they tell you at the local VA. You have to be your own advocate. And we can help you with that.